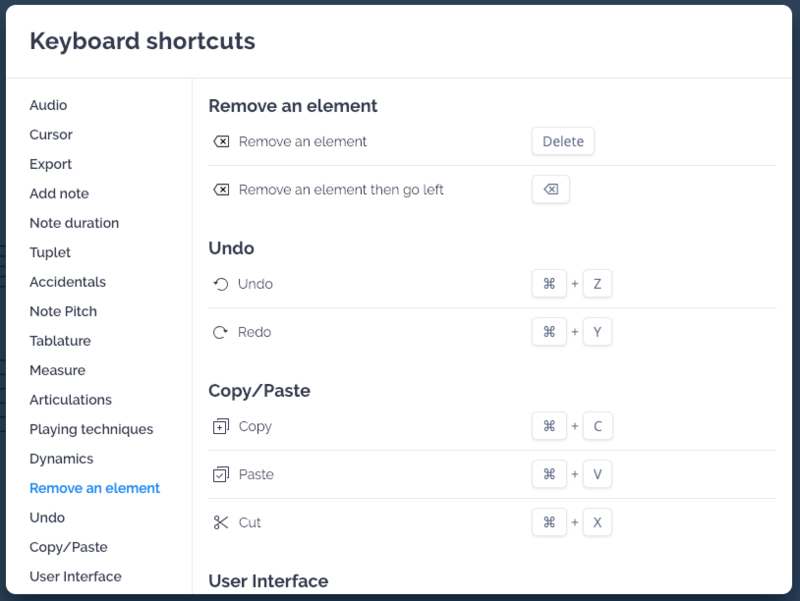 Last December, we made available our new editor for all individual users. We started the year by making it available to all Flat for Education users. Check out our full changelog to learn what's new in this major update. In January, we also released a brand new history for your scores. 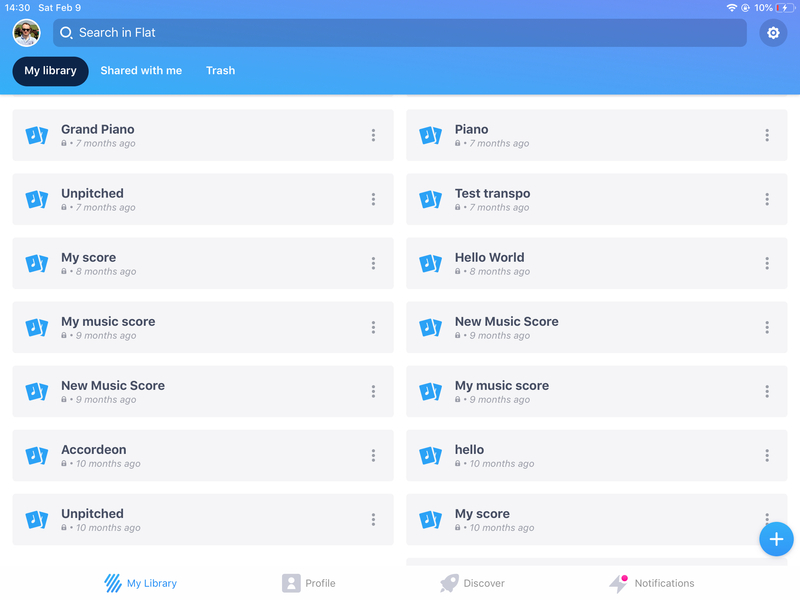 This one has a better interface to quickly browse the major versions of your scores, as well every single change you made. We reworked our Swing feature last month: this one is now available in the Measure toolbar, is now displayed on your scores and can be used on the sections and measures that you want, unlike the previous implementation. You can list them by pressing Alt + ? in the editor, or clicking on the ? on the top right of the editor and choosing Keyboard Shortcuts. A printable version is also available in our Help Center. We released an update of our iOS app coming with a new look for the library view also optimized for iPad users. This version comes with bug fixes as well as performance improvements, you are now able to play "Violin Lead" instrument. The default tempo mark has been removed, you can add it from the "Measure" toolbar if you need one. 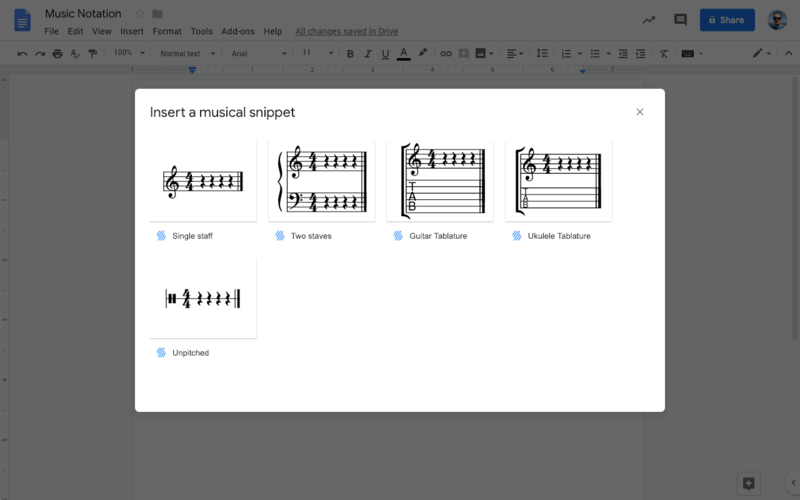 These free add-ons allow you to quickly insert some music notation snippets in your documents and presentations. To learn more about how to install and use them, check out our dedicated help page. 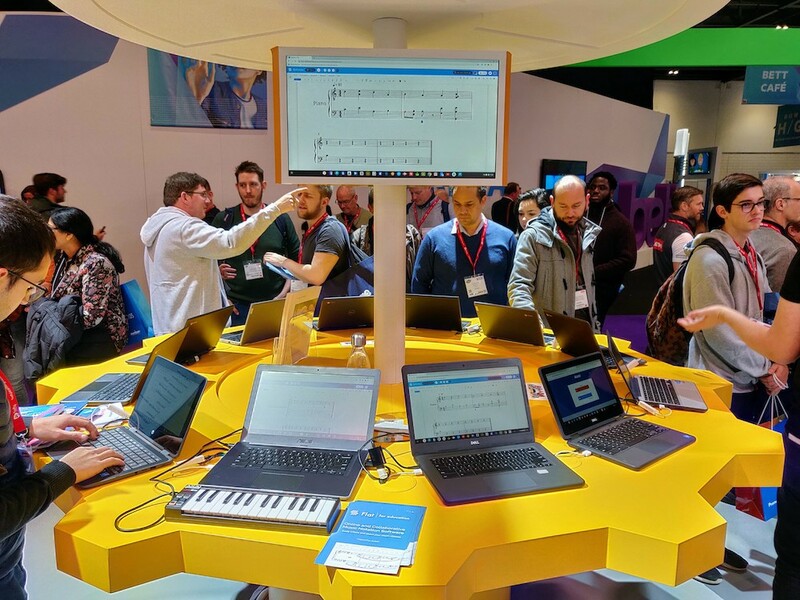 Last month, we attended the Bett Show in London, UK, and the NAMM Show in Anaheim, CA, US. It was great to meet all of you, and we are looking forward to meeting you there next year!